Last time, I reported very basic knowledge to watch a Grand Sumo Tournament. 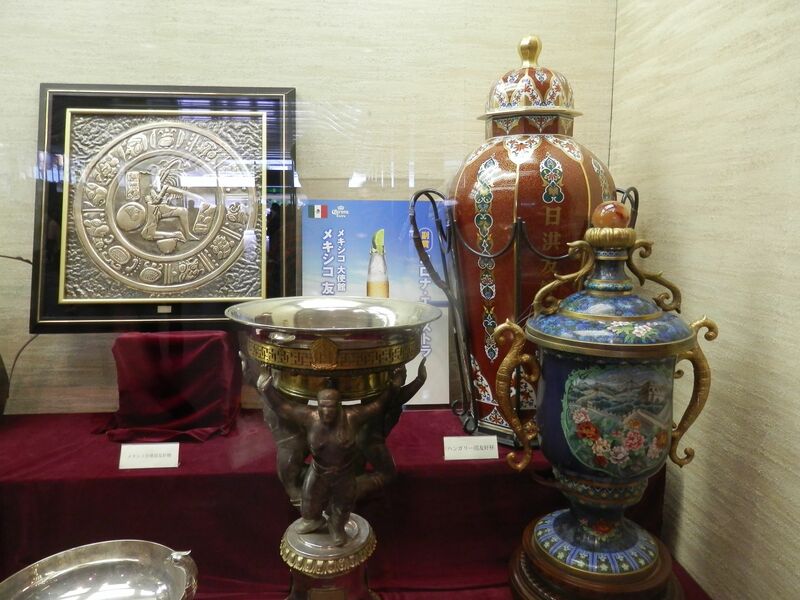 This time, I would like to introduce my impression of watching the tournament. 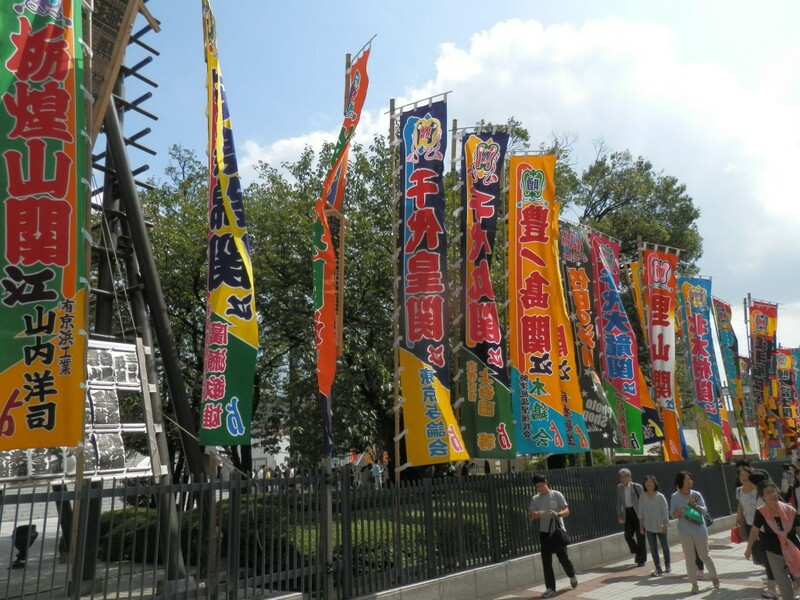 As soon as you arrive at Ryougoku Kokugikan, banners of sumo wrestlers are waiting for you. 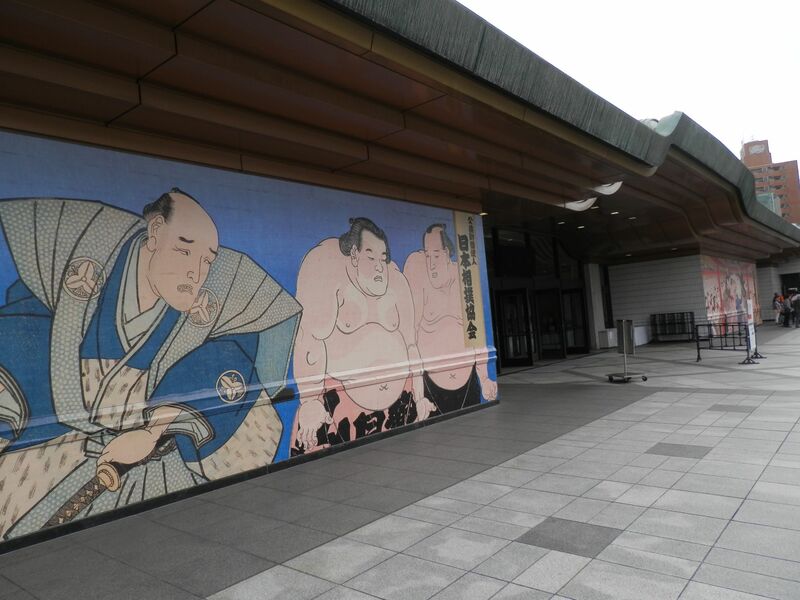 At the entrance of Ryougoku Kokugikan, there are wall paintings of old sumo wrestlers. 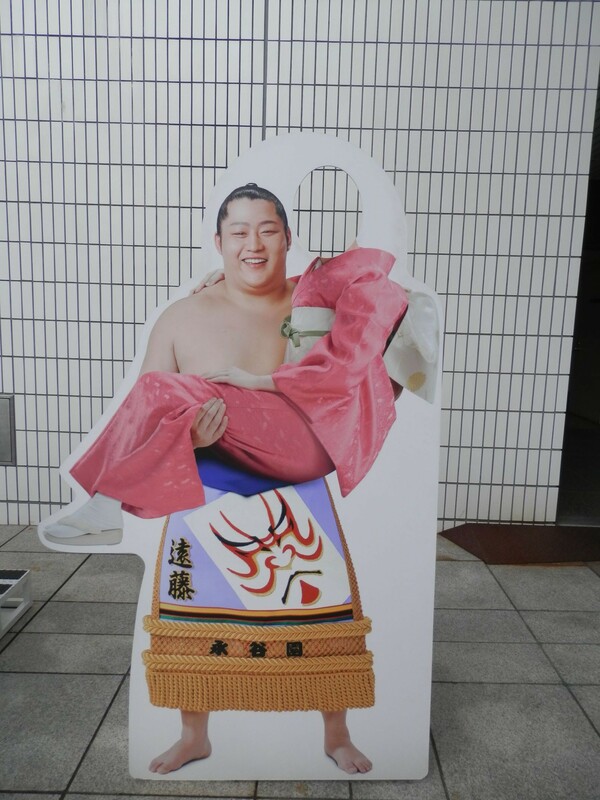 There is a comic foreground, which Endo, one of the most popular sumo wrestler, picks you up like a princess. 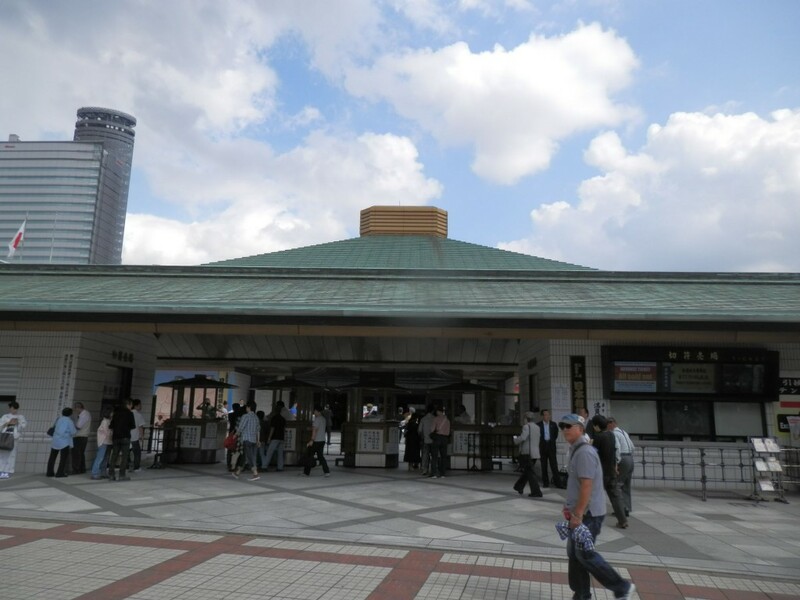 There are shrines within Ryougoku Kokugikan. 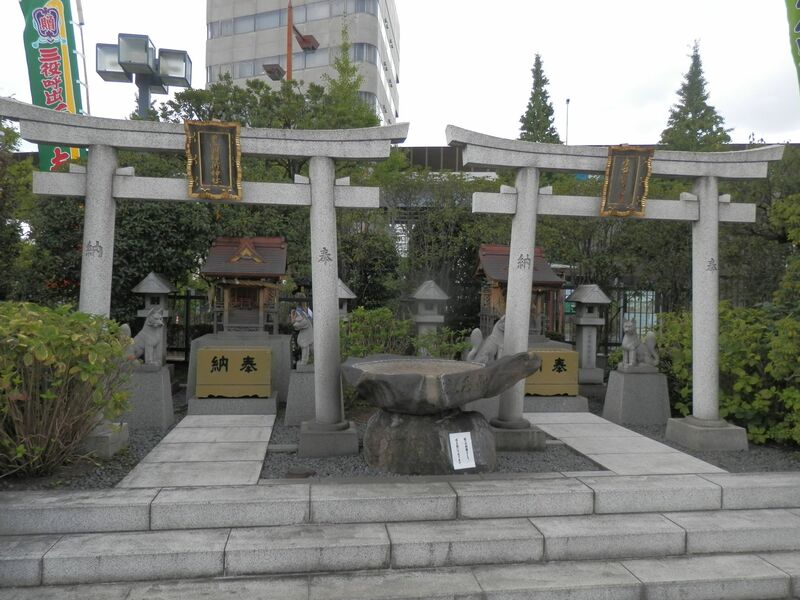 “Houkoku Inari jinjya” is on the left and “Shusse Inari Jinjya” is on the right. 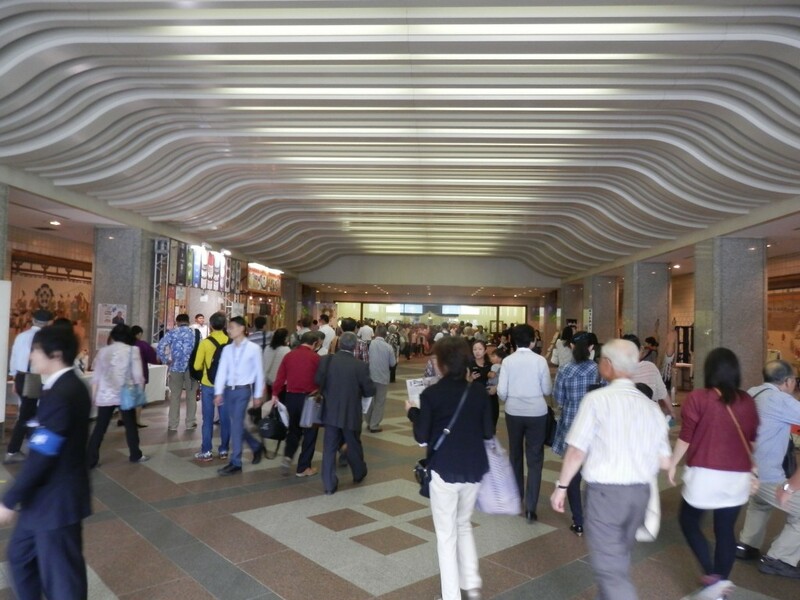 This is an entrance hall. 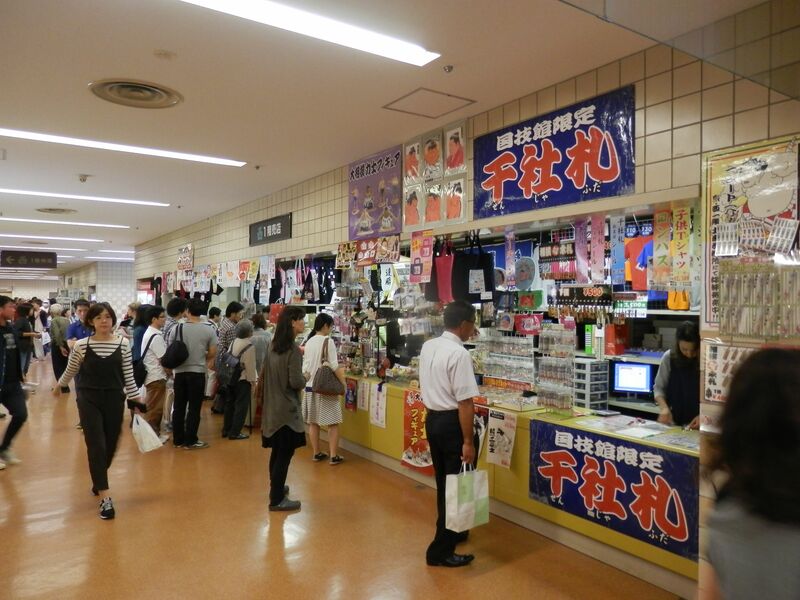 Crowded!! There are life-sized panel of sumo wrestlers in the building of Ryougoku Kokugikan. 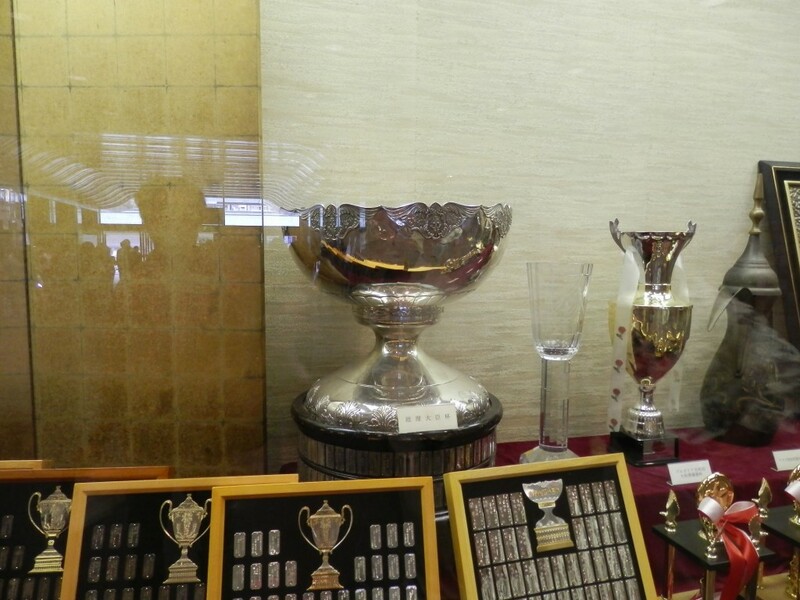 You can take picture with them. 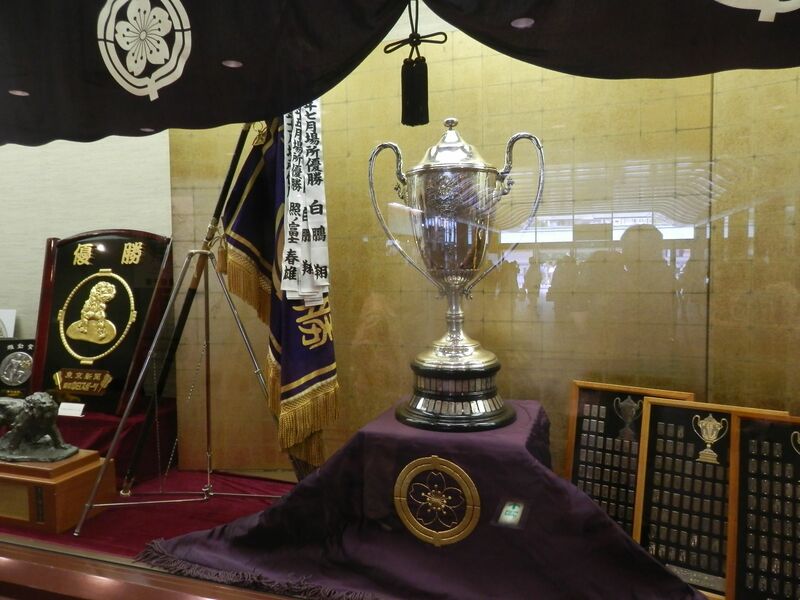 There is a championship trophy. How about that? 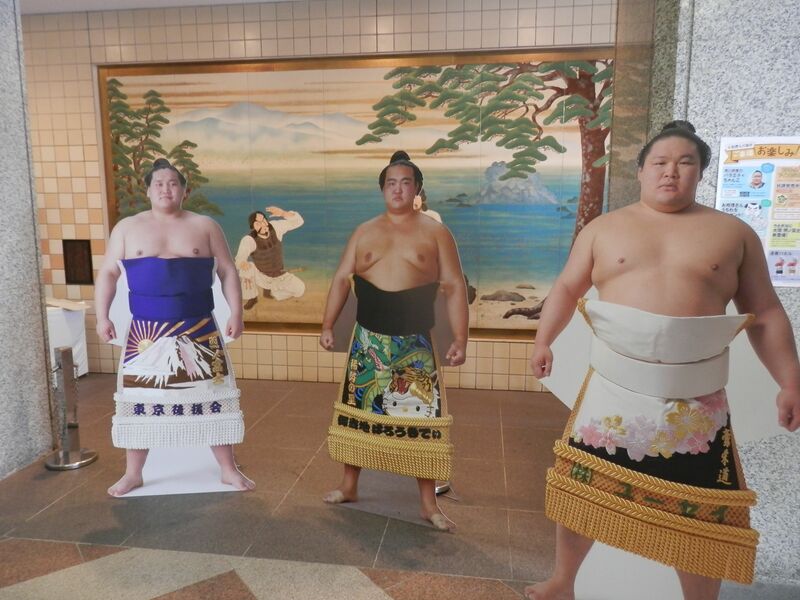 I’m sorry but I cannot introduce my impression about watching sumo tournament, so I will try that next time.